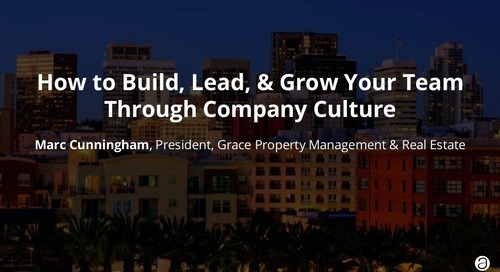 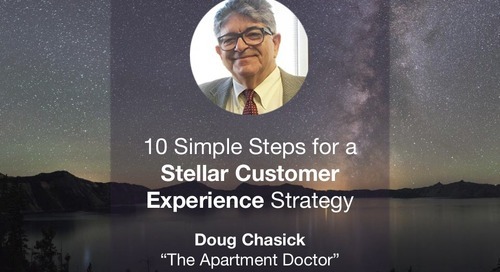 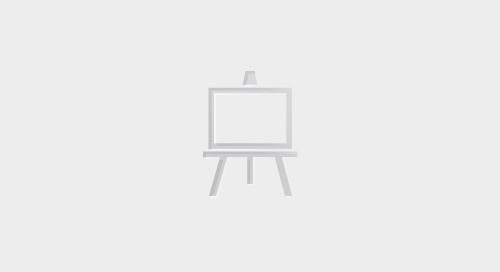 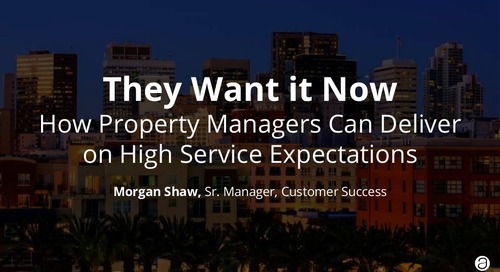 Risk mitigation starts before a prospect becomes a tenant. 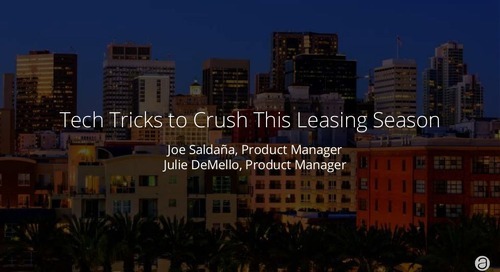 Learn about best practices from lead to lease to help you avoid costly situations. 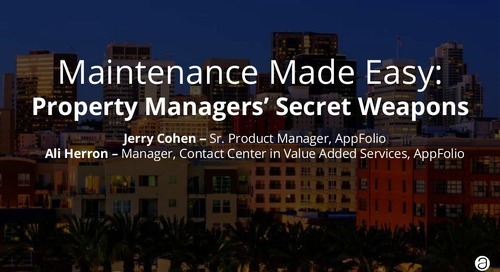 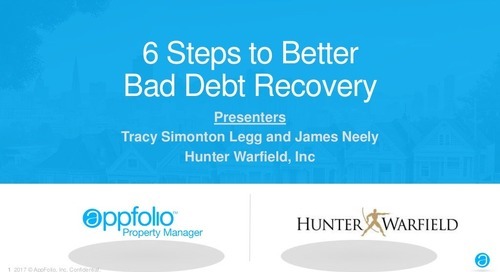 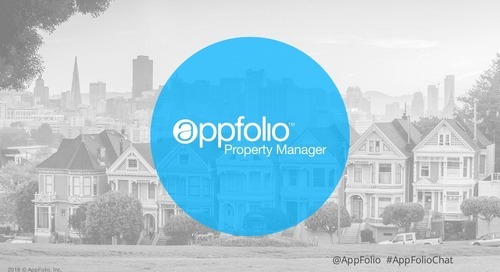 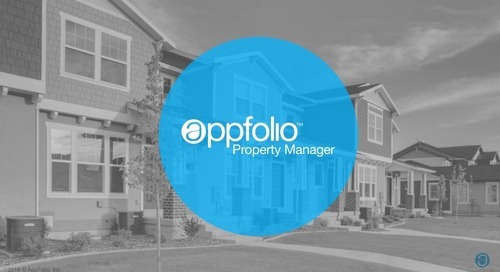 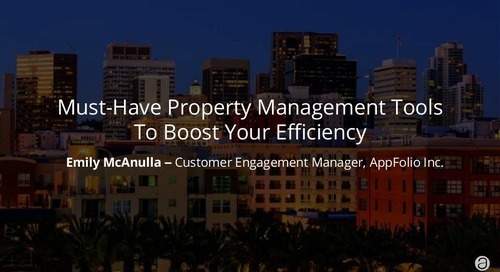 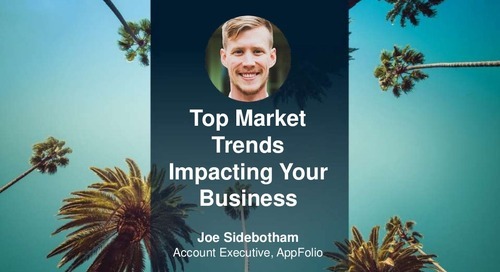 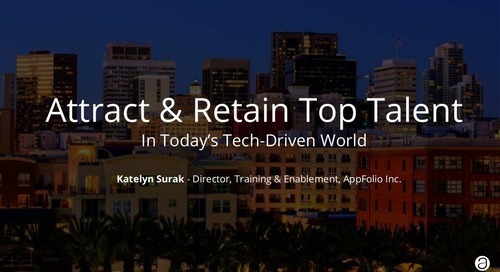 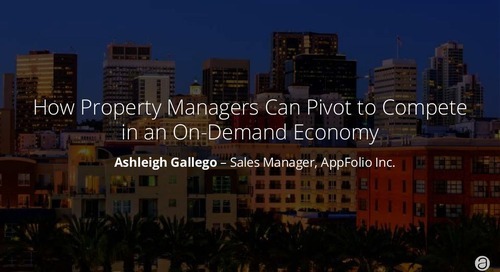 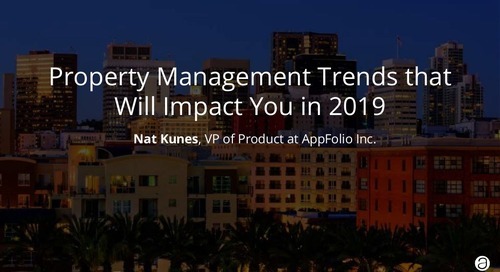 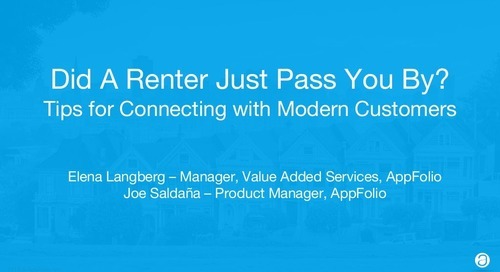 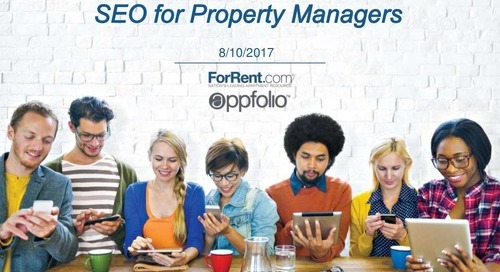 From using applicant screening to make informed decisions, to requiring Tenant Liability insurance to protect your properties, to acting quickly to pursue past tenants' debt, we reviewed ways you can use AppFolio Property Manager to reduce risk and ultimately help you improve your bottom line.